PennsylvAsia: Tomoko Omura’s Post Bop Gypsies, August 14 at City of Asylum. Tomoko Omura’s Post Bop Gypsies, August 14 at City of Asylum. The City of Asylum will host Tomoko Omura’s Post Bop Gypsies, a jazz trio out of New York City fronted by violinist Tomoko Omura, on August 14. Tomoko Omura’s Post Bop Gypsies are a modern take on the classic, violin, guitar and bass instrumentation. 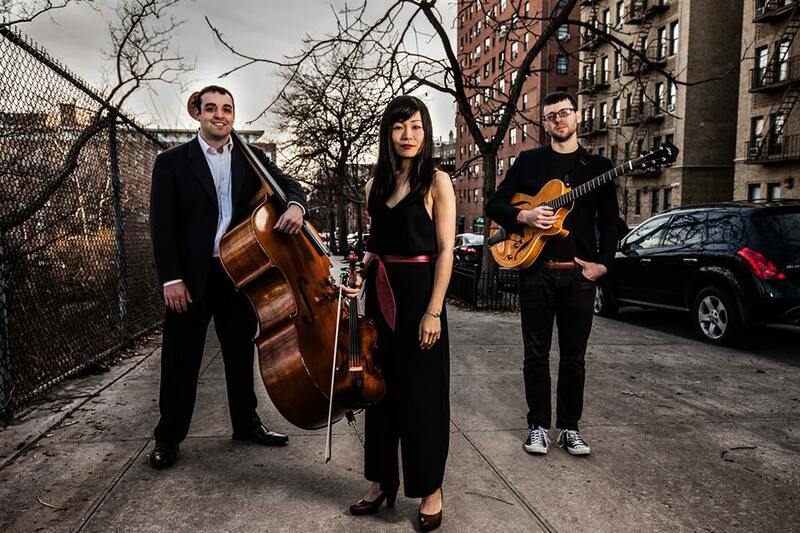 The New York City based trio also features Alex Goodman on guitar and George DeLancey on bass. The band is on the road celebrating their self titled 2017 debut release (Inner Circle Music 2017). The show runs from 8:00 to 10:00 pm; it's free, but online RSVP is required. The City of Asylum's Alphabet City is located at 40 N. West Ave. on the North Side (map).